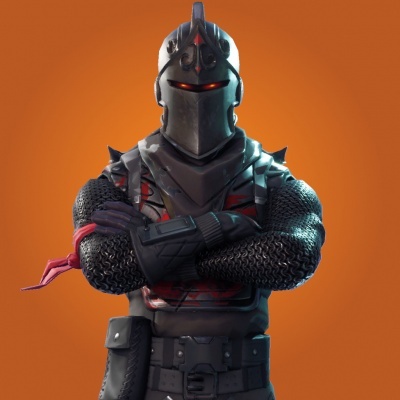 Black Knight is the name of one of the outfits in Fortnite Battle Royale. Part of the Fort Knights Set. "The odious scourge of Wailing Woods"
This costume is a premium tier 70 Battle Pass reward. You have to purchase the Battle Pass and rank up to level 70. Unfortunately, as of February 22, 2018, the 'Black Knight' outfit is no longer available as Season 3 has started, and it is not expected to return. The Black Knight Costume is the final reward (Tier 70) of the premium season 2 battlepass. You can also pay 150 VBucks to advance a tier. So people could choose to spend VBucks to access the Black Knight outfit sooner.